A good quality oak and mahogany 8 day longcase clock by William Green of Grantham c.1820. 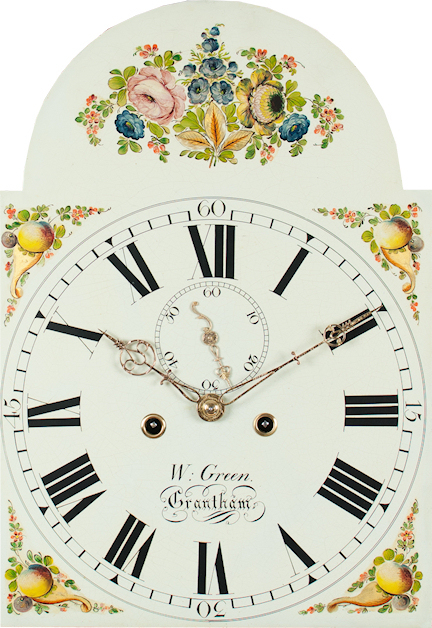 The good quality case of typical Lincolnshire design, constructed of quarter sawn oak and mahogany with boxwood inlays throughout. 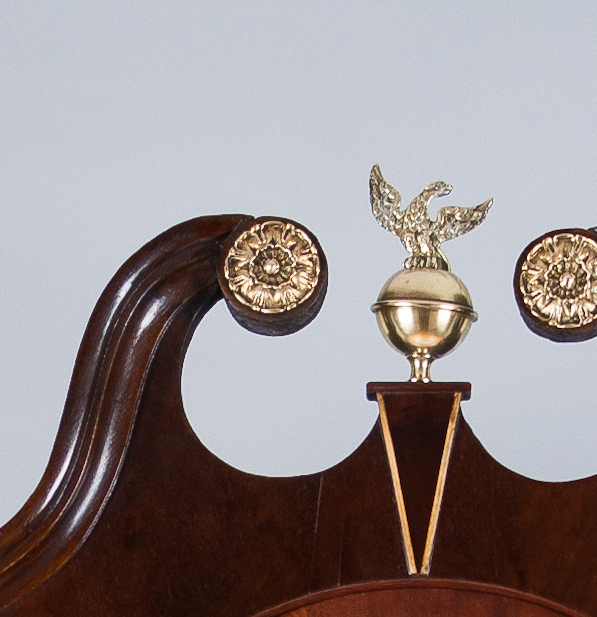 The swan-neck pediment hood with brass paterae and original brass finial to the centre. The hood door flanked by turned and reeded columns terminating with brass capitals. The figured quarter sawn oak trunk door crossbanded with thick mahogany veneer, flanked by canted corners with decorative boxwood inlay. 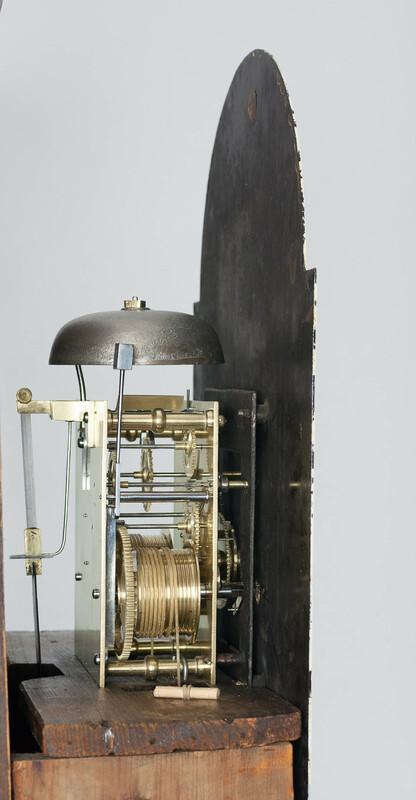 The base with mahogany crossbanding, surmounted on bracket feet. 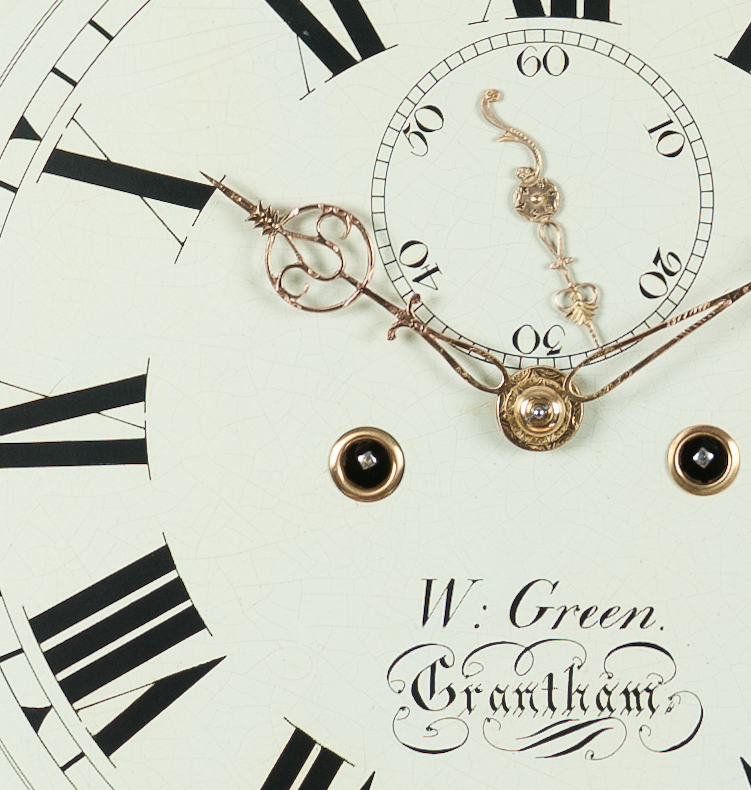 The well executed arched japanned dial, with Roman numeral chapter ring and Arabic outer markings to the quarters. The arch decorated with finely painted flowers and gold leaf artwork and the corners with fruit and flowers. The dial centre signed Wm Green, Grantham. 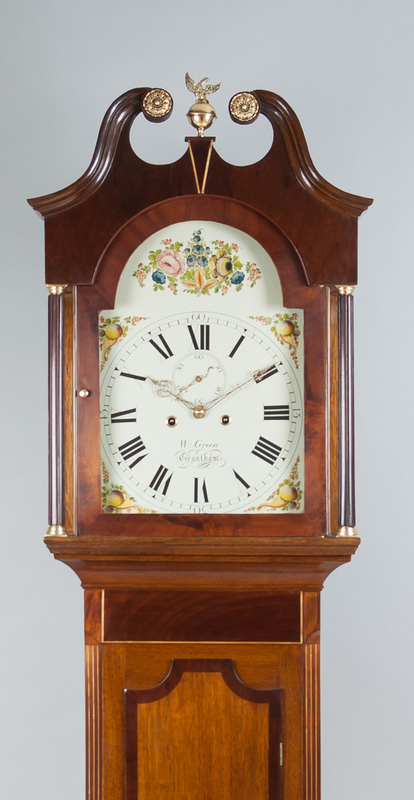 A fully restored fine quality 8 day four pillar movement, rack striking the hours on a single bell. 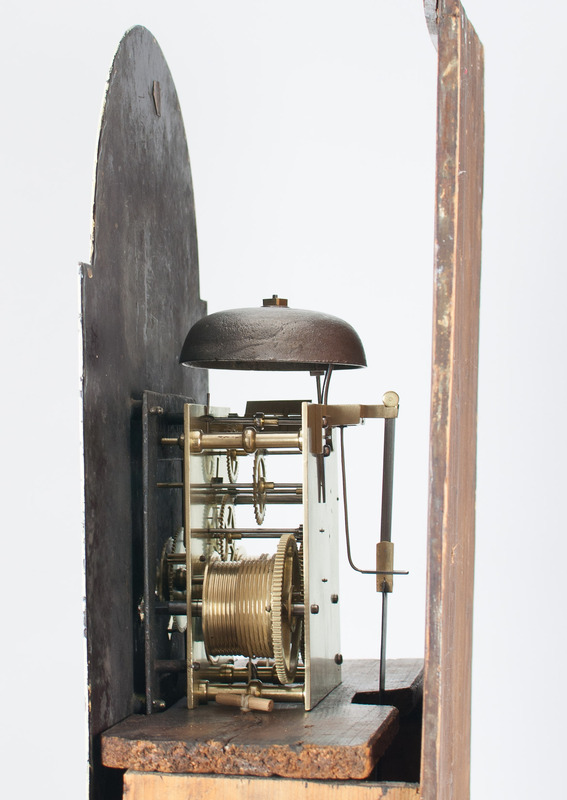 Original cast iron weights and brass faced pendulum bob.